T-Bone Pig gets in touch with his sensitive side on this track, a beautiful love song in true Pigs style - sprinkled with plenty of humour. This song is about falling in love and being unable to think of anything but your love and needing to scratch an itch, in this case. 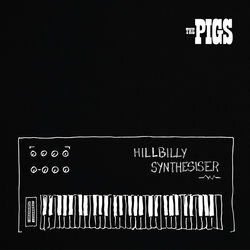 Other tracks by The Pigs: Go! Robot Goat! - Sterilised! Humidified! Sleep Deprived!